A recent study shows that 97% of all consumers search for local businesses online. While 72% of adult Internet users in the US are active on at least one social network, and 68% of consumers check out companies on social networking sites before buying. Having an online presence is no is no longer optional for small businesses, it’s a prerequisite for success. Your customers rely on social media to recommend your business and address customer service needs. In this new economy, where customers tell businesses what they want and let them compete, social media is the most important tool for listening to what they’re saying. It’s a tricky business and takes a thoughtful approach, so let’s go over some best practices and strategies for creating an engaged customer base. You can, and should, encourage customers to review your business. Just make sure you’re not breaking the rules or compromising your reputation. Some business owners feel uncomfortable asking customers for reviews. That’s a mistake. Most customers understand the importance of online reputations and will be happy to help you as long as you make it easy for them. Keep in mind that failing to follow the rules can ruin your reputation and may even result in fines and other legal ramifications. What are the rules? First of all, you can’t pay customers to give you positive online reviews. This includes offering any kind of incentives for saying nice things about you. Another way businesses get in trouble is having employees create fake profiles to review the business disguised as customers. This is clearly unethical and dishonest. The same goes for creating fake profiles to bash competitors. It’s not worth it. Put in the time and effort to do it honestly. Won’t having such a strong and accessible online presence lead to more reviews from angry and dissatisfied customers as well? The truth is that customers who have a bone to pick with you are going to do it anyway. It’s best if they can express their concerns directly to you. This allows you to confront and resolve problems quickly. What you don’t want is an unhappy customer telling their negative thoughts to the rest of the world without you knowing about it. Be reachable – Maintain a strong online presence so that customers can reach out to you directly. Make sure it’s easy for customers to quickly locate one of your business pages online. Have the appropriate contact respond quickly – A fast response will show your customers that you take their complaints seriously. Make sure a well-informed employee responds to show you are truly concerned. Make the conversation private – If someone files a complaint publicly on one of your pages, respond to them and ask if you might explain your company’s position privately. Send a thoughtful personal message responding to their complaint. If your business was in the wrong, apologize and ask for a second chance. Consider offering them a discount or some other store incentive. If your business wasn’t in the wrong, don’t apologize. Whether you are right or wrong, having these conversations publicly can make you look bad. 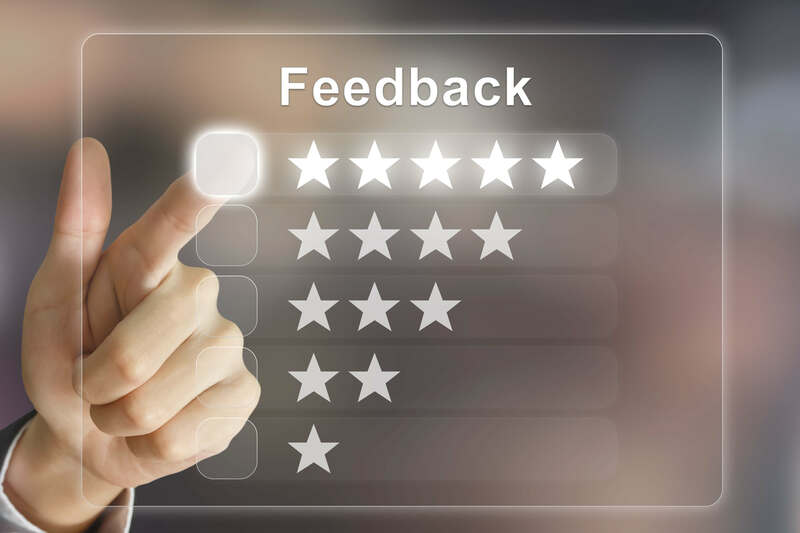 The best way to increase positive online reviews of your business is to be proactive and provide a great product or service with excellent customer service. Be honest and follow the rules, but don’t hesitate to ask customers for their honest reviews. Make sure you have a strong social media presence so customers can easily share your business with their online friends. Deal with unhappy customers gently and do your best to turn negative experiences into positive ones.